Asking for help can be hard. But it's the right thing to do. Asking for help can be difficult, but you’re doing the right thing by reaching out! Give us call Monday through Friday after 10 am at 763.533.1316 with your questions, or to schedule your appointment. We hope someday to be able to allow you to make appointments online. Unfortunately, due to privacy concerns and making sure you have the right amount of time with the right provider, we currently can’t. Making a phone call is quick and easy. Our schedulers will help you get the care you need. 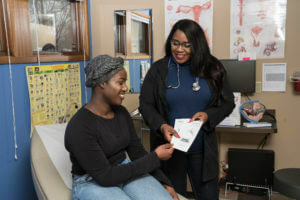 We help young people like you every day with birth control, STI testing and/or treatment, pregnancy testing and all-options counseling, and birth control information.